It happened again this week. I had another conversation with someone about how much they feared and hated their website company. They displayed all of the tell-tale signs of WebPTSD ™, a less aggressive form of PTSD that is specific to being lied and cheated to by a website developer. Here’s my most recent example. I was looking for some work done and I picked up some cards from a few businesses. Once back at the office and I am adding their contact information to my CRM, I take a moment to check out three of their websites to get a little more information about them before I meet with them again. While looking through, I saw an opportunity for improvement and thought I would bring it up at one of the meetings. At my meeting with one of these business owners, I mention I visited their site. I noticed three clues that immediately register as WebPTSD. Clue #1: The eye roll. It should pull to ears. Clue #2: Lip curls. Upwards indicates disgust and/or frustration. Clue #3: Avoiding eye contact and looking out the window behind me. This is my hint that our conversation could turn on a dime and become a support/coaching session. Once the ticks stopped, he explained his previous experience. Four years ago he hired a company in the Twin Cities for $15,000, upfront, to build him a non-e-commerce website. The site took a year to go live, which involved constant calls from him. The anxiety and disappointment he experienced was layered in his tone and his choice of words. The more details he shared, the more vicarious I lived through the experience. It was awful. He hated it and he didn’t know what to do. He was hoping I wouldn’t notice. Once he is done sharing, I apologized on behalf of all of the industry for the jerks that took advantage of him. I didn’t want him to feel this way about his website. “Would you like to talk about your website like it was just a simple part of your business?” I asked. He said yes and I turned the conversation into a coachable moment. He needed to understand his WebPTSD ™ was losing him money, more than what he originally lost. The greater problem wasn’t the look of the website, it was him not fixing it and continuing to allow it to inflict harm on his business daily. All of a sudden his eyebrows rose and his head tilted up from its defeated, sullen state and made firm eye contact again. The warrior business owner was back in the conversation and realized he just needed to fix this and move on. The definition of PTSD (Post Traumatic Stress Disorder) is a mental health condition that’s triggered by a terrifying event – either experiencing it or witnessing it. Symptoms may include flashbacks, nightmares, and severe anxiety, as well as uncontrollable thoughts about the event. I have learned a lot about PTSD throughout my life, sometimes firsthand and other times through loved ones that have it. I don’t use this term lightly, I do understand and support a cure for this infliction. Based on my knowledge and experience in the web business I can diagnose WebPTSD ™. It’s one of the reasons I started building the digital marketing side of my company. I saw almost criminal levels of extortion taking place to fellow business professionals. People having websites that were held hostage and having to pay to get away. I once saw a five year website contract at $10,000 which also cost the company $20,000 to build. This was an eight page site and the client provided all of the content. It ticks me off when I see people taken advantage of like that. There can also be WebPTSD ™ on the other money end of the spectrum. The business didn’t see websites as being available or a big deal so they didn’t want to invest any money into their website. They found someone, who was a friend of someone, who does websites on the side and had them build them a site. That person goes off and gets a full-time job and starts ghosting. Sometimes right in the middle of building the site. Are you kidding me? Now what? They’re not out a lot of money yet, but now they have to find a way to get ahold of their domain name, find someone to pick up the project, and the whole thing is going to take 5X’s as long. Now that websites have been a business necessity for more than 20 years the amount of WebPTSD™ is continuing to grow. Wincing – Your website has not been updated in three years and anytime someone brings that up you wince with fear of ever having to deal with another web developer again. Eyebrow furrow & Nose scrunch – this looks like someone smelled something really bad, but they didn’t. It is the facial expression made with a customer tells you that something is broken on your website. Ask for pricing for your new website upgrade. This one is a real cure. Once you realize it will cost you less to fix it than it is for you to avoid it, I can almost say a person gets rather excited. Take action and work with someone you really trust, enjoy and want to do business with. 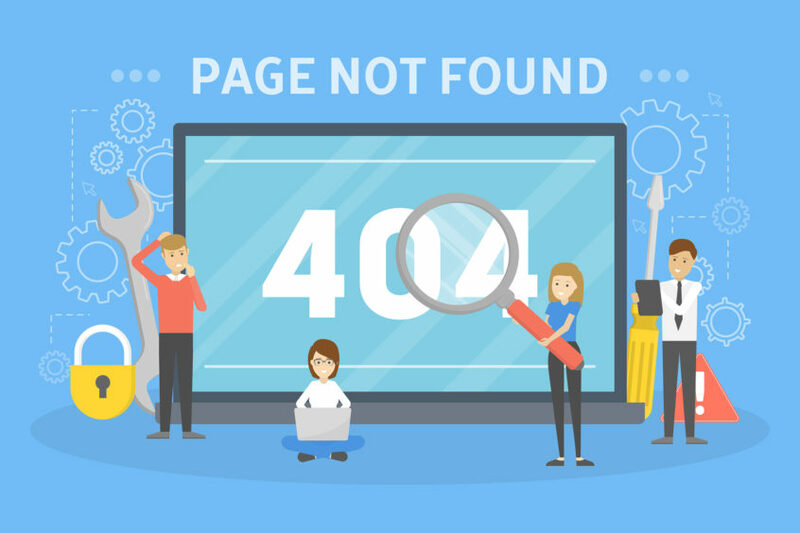 If you or a close business colleague is avoiding website upgrade and website bliss, intervene, share this story with them and encourage them to stop avoiding. It’s time to fix the problem so you don’t have to worry about it anymore.